Location & Parking: Valet parking available for 100 cars. 400 spaces in public car park adjacent to the hotel. Restaurants: Park Plaza Westminster Bridge London boasts a variety of on-site dining options, including Brasserie Joël, Ichi Sushi & Sashimi Bar, 1WB Lounge & Patisserie and Primo Bar. "“It was a real pleasure working with Vera and the team at The Park Plaza Westminster Bridge. The catering was outstanding and the service impeccable. Our clients were extremely happy with the running of their 2012 Christmas party; thank you all so much for all your cooperation and assistance, we thoroughly enjoyed working with you and hope to work with you again in the near future.”"
"The team were a pleasure to work with, both pre event and during the event. Some elements of the weekend were relatively complicated, such as the rooming list given our accessibility requirements, but the teams coped with this superbly and made the whole process very smooth. Particular highlights for the team were the standard of the food available and the quality of the bedrooms. All in all, it was an incredibly successful weekend for ParalympicsGB, and the staff and facilities at the Park Plaza played a huge part in this, for which I am incredibly grateful." "Given the demanding technical and logistical requirements, we had to select a venue which was capable of hosting such an event, in as seamless a fashion as possible. We were extremely impressed with the event management skills of Park Plaza Westminster Bridge. They understood the demands of the conference before the event and were meticulous in planning with us. The result was an extraordinarily smoothly run event. Anything we required was dealt with swiftly - we never had to ask twice. At the end of the conference, the consensus was absolutely that we had hosted ERUS2012 at the very best venue." Art meets design to make the Park Plaza Westminster Bridge London an iconic all-in-one solution with this AIM Gold and Amber Healthcare Venue accredited space for meetings, conferences and private events. The hotel’s exceptional event space includes the signature 1,200-square-metre pillar-free Westminster Ballroom, which can host 1,300 diners or 2,000 delegates theatre-style. This outstanding space includes removable walls, high-specification technology including integrated pin-spot lighting, a heavy goods lift, private bar and a dedicated meeting planner’s office. Convenient ‘layered’ capacity for smaller events or meetings includes the flexible Plaza and Park Suites, which can accommodate up to 250 guests with a dedicated foyer and Business Centre. Intimate City Boardrooms are located on each floor and offer enhanced privacy, Wi-Fi and spectacular floor-to-ceiling windows for up to 26 attendees. For events or conferences, the hotel offers complimentary Wi-Fi, coach parking, dedicated group check-in desks and high-level security. A choice of 1,019 tastefully conceived guestrooms and suites includes chic Superior Rooms, Suites and Penthouse Apartments which can be block-booked for conference delegates. 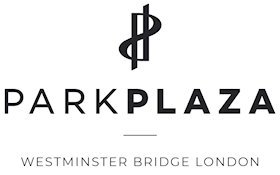 Dining options at the Park Plaza Westminster Bridge London include Brasserie Joël, Ichi Sushi & Sashimi, 1WB Lounge & Patisserie, Primo Bar and Espressamente Illy. Also available are a fitness centre with 15-metre pool and Europe’s only Mandara Spa, bringing a touch of Balinese calm to London.